Visiting Ziqaq is an obligation in our family. 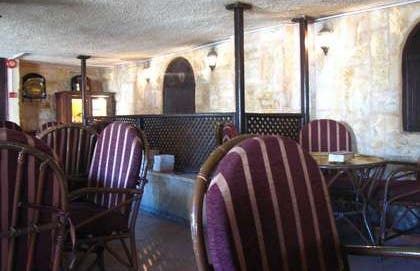 It holds a lot of sentimental value for me, as it was one of the first places that I went to in my early days in Amman. Here they serve coffee, tea and juices, a variety of ice creams. It has the advantage of having a Chili Ways next to it, if you want to eat something. They have chess, cards and other games. Downstairs there is a sports television, usually football. The waiters are a bit "confused" and you will usually have to call them a few times, but it's part of the charm of the place. It´s really cheap when compared with other local "coolest" places of the city.